Florida is gorgeous. That much is not in dispute. However, the Sunshine State does often take some flak not just from the media and general public, but its own residents as well. It is accused of being too hot. Property values are said to fluctuate too much. It is too touristy. With many illegal migrants. And old people. Unemployment is high. There is a deep divide between the haves and the have-nots. Crime. Drugs. The list goes on. The thing is, though, there is no place in the world without its ups and downs. And Florida remains the third most populous state for a reason – after California and Texas, and just a spot above New York. The beauty of the state would put most places to shame. Endless miles of coastline. Stunning beaches. 11,000 miles of rivers, streams and waterways. Thousands of miles of hiking trails. The Everglades. Theme parks galore. And, of course, one of the most vibrant nightlife in the world. With a median home value of $211,200, against a national average of $201,900 (latest figures from Zillow) homes can be said to be affordable. The state has excellent schools with an average of 8.3 out of 10 on GreatSchools, one of the most complete school-ranking platforms. This is significantly higher than the nationwide average of 6.0. General affordability is almost on par with the national average (101 vs. 100). For anyone looking to move to Florida, there are plenty of great places to stay – if you know where to look. Besides, the Sunshine State had an incredible nine cities on the 2017 list of 100 Best Places to Live in America, an annual ranking by the U.S. News & World Report. 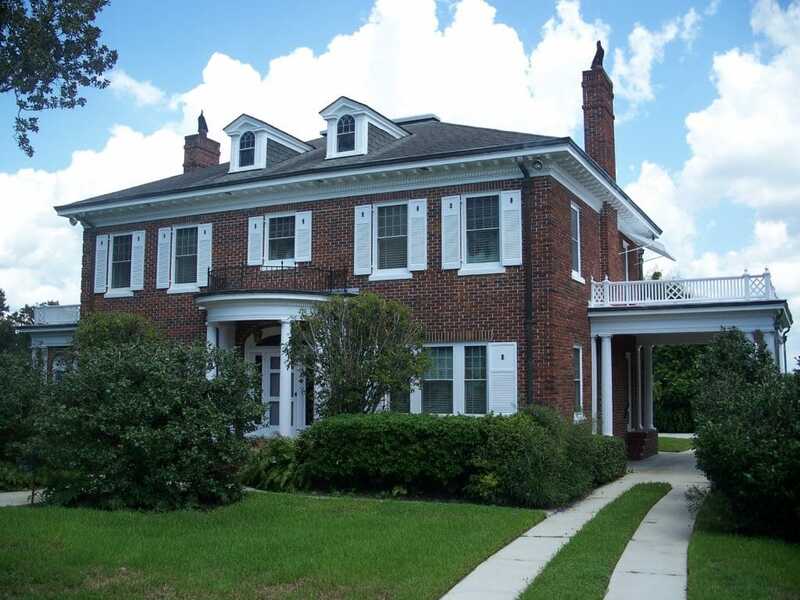 First up on our list is Valrico, a suburb of 36,975 that lies 14 miles east of Tampa. It guarantees a balanced blend of quality amenities, affordability, and strong economic growth. Median home value currently stands at $190,200, and the area promises great value. Local schools got a solid ranking on GreatSchools, scoring an 8/10. In a state that has been accused of being violent, crime rate is extremely low in Valrico. As well, median household income has grown exponentially over the last two decades, and currently stands at $70,732, registering one of the best performances in Florida. Still, only less than 30% households are families with children, essentially making this sort of a hidden gem for families. Oviedo is a suburb in Orlando that constitutes 13 neighbourhoods which are home to some 38,550 people. It is mostly a white-collar city with close to 90% of the workforce involved in white-collar jobs. In a part of the state where availability of jobs is high, Oviedo is the symbolic apex of Central Florida’s livability, especially when you factor in the added incentives. Its schools are first-rate, and the suburb offers plenty of recreation for families who love the outdoors. Be it canoeing or hiking at the Little Big Econ State Forest, alligator-watching at Lake Jesup, attending the weekly food truck night and local concerts, strolling in the parks and walkable lakes, just to cite but a few examples. Houses in this ethnically-diverse town average $223,900, and the residents embody a strong sense of community. 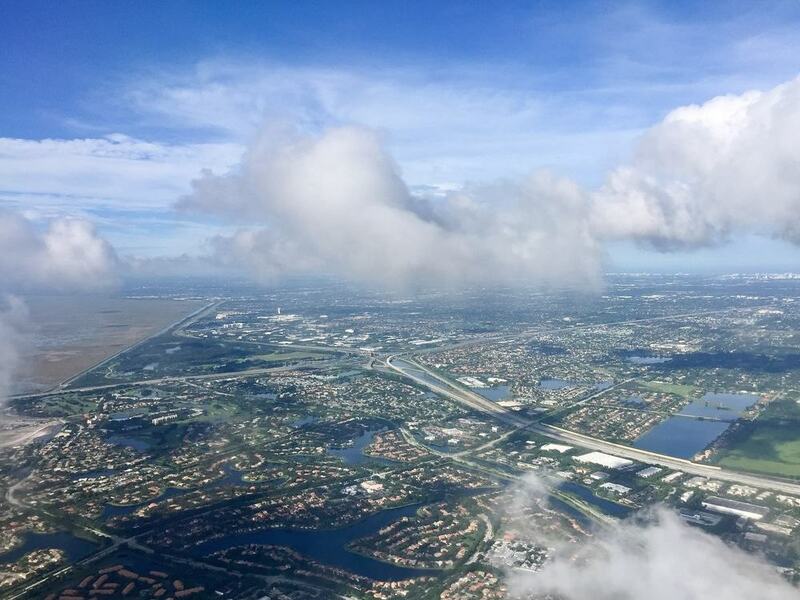 Weston is a small city of just over 68,000 situated in Broward County. 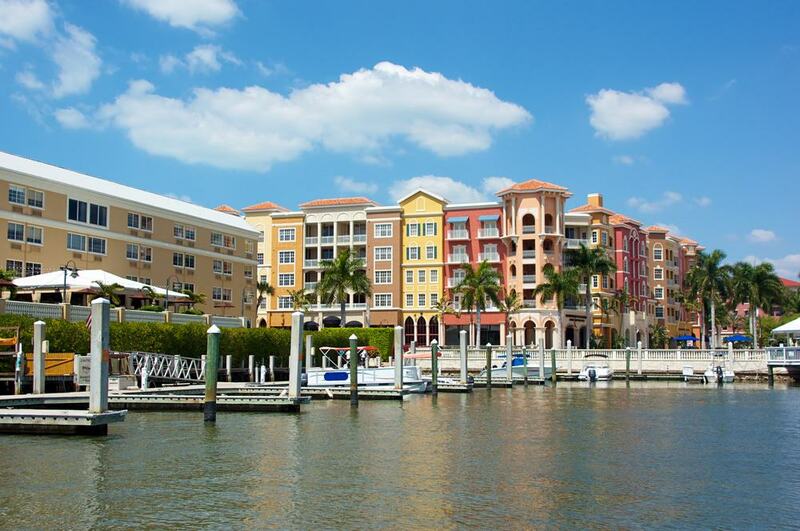 It may have missed a spot in the best places to live in the United States, probably due to a number of incidences related to crime, but Weston has for years remained a highly desirable place for reasons aplenty. It has one of the highest percentages of families among communities in Florida, meaning a large part of it is designed to accommodate this reality. Its schools score an impressive 9 on GreatSchools, and they also witness a high graduation rate. It is not short of fascinating stuff to do, including a visit to the multiple museums and historical sites, hanging out in the nature reserves, biking on the city’s 46 miles of bike trails which promise spectacular views of the Everglades and so on. What’s more, unemployment rate in Weston is low, with a high median household income of $93,814 that is enough to cushion against the high cost of living (rent averages $1,939, with median home value standing at $399,000, both of which are some way off the national mark). Sarasota emerged at position 14 in the list of Best Places to Live in America, the state’s highest ranking, technically making this the best place to live for families in Florida – based on the report. When you get down to crunch the numbers, it is easy to see why. Sarasota is downright beautiful. Its sugary white-sand beaches are stunning, always ranking among the best in the country year after year. It has one of the most buzzing art scenes for a city its size, complete with orchestras, ballet, opera, museums, professional and community theatre companies, and roots rocks and blues artists. There are plenty of dining options and really great restaurants where you will readily find the award-winning Sarasota craft beers. There are parks and reserves everywhere, and so happens a great deal of celebrities have homes here – Jerry Springer, Brian Johnson of AC/DC; Stephen King even! All that and you wonder how properties have managed to remain so incredibly low. Rent is at a paltry $933 (compare that to a national average of $928) with median home value ($169,100) way below the national mark. It is not uncommon to see a three-bedroom two-bath single-family home going for $200,000. If you feel like flexing some financial muscle, Naples might just be the place for you. The city of 20,600 residents has carved out a name for itself as a millionaire playground, with high-end shopping and golf course galore. Naples is strikingly beautiful and to think you could rent a home for $1,100 sounds like a bargain considering the perks. 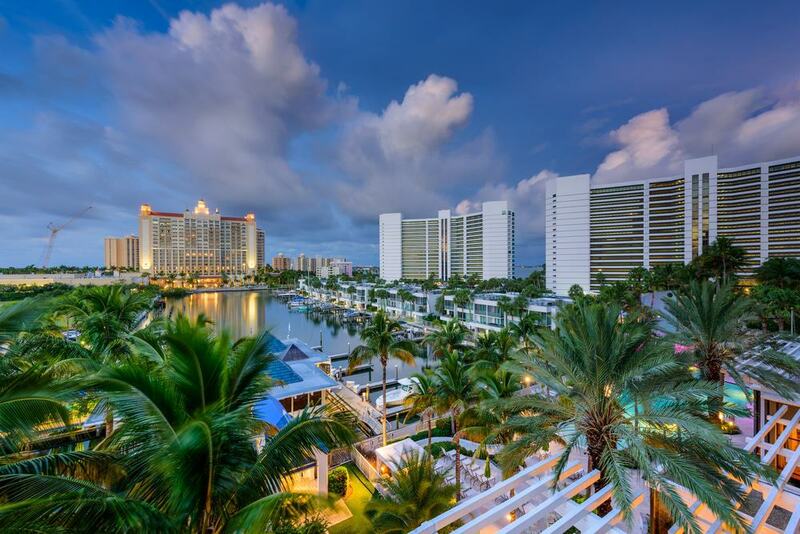 It is marked by peaceful white sand beaches, a pedestrian-friendly downtown area, and tourists love it for its proximity to the Ten Thousands Islands and the Everglades. Crime rate is low in Naples, and it boasts an outstanding school system with a high graduation rate. There is plenty to do, including spotting dolphins, fishing or watching the sunset at Naples Pier, and the kids are sure to love the Naples Zoo where you can jump on a catamaran to Monkey Island (yes, there are real primates there). Living in Naples can be life-changing – for the better. Gallup-Healthways named it the Happiest and Healthiest City in 2017. With sunshine every day of the year – bar five – St Petersburg has seen itself branded the Sunshine City. It has a population of about 250,000 people who are attracted to the area in Pinellas County for its affordable cost of living and quality healthcare, two things that have endeared it to retirees. But don’t be fooled into thinking this is a sleepy neighbourhood. Quite on the contrary actually. St. Petersburg has a lot going for it, and it is particularly famed for its active arts districts, museums, theatre companies and festivals and events hosted all year round. Recently, it has also taken a more youthful turn and features multiple nightlife options with a vibrant downtown. 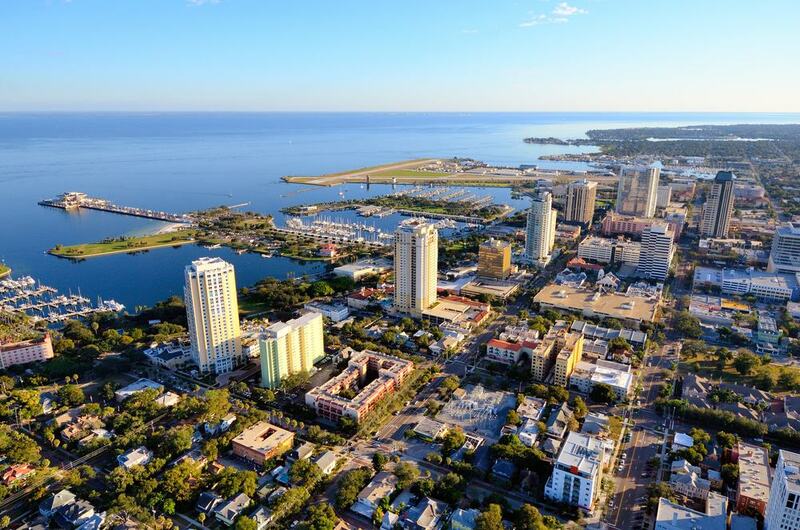 Considering a two-bedroom single-family home goes for an average $145,100, you will be hard pressed to find a better place to live in Florida. 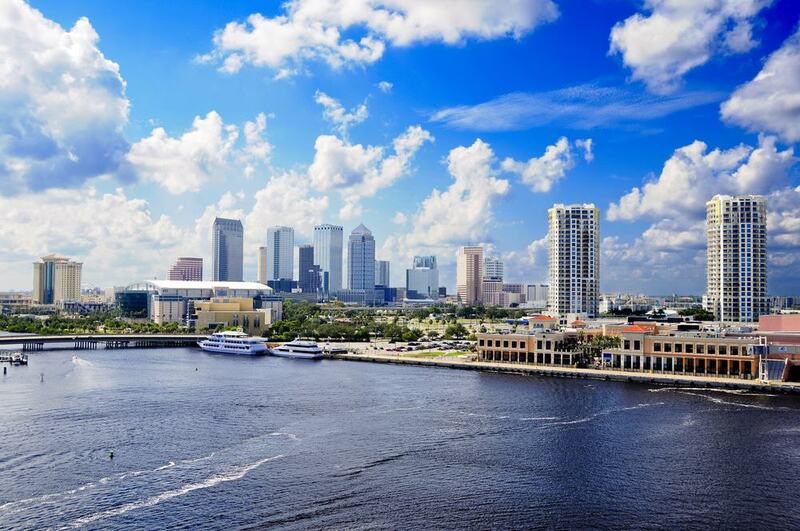 Tampa is not particularly known as a particularly safe area, with crime and safety one of the factors that only serve to downgrade the overall appeal of the Hillsborough County city. The only comfort you could derive from this is that crime is particularly rampant in Florida, at least compared to most other states. That aside, though, the city of 355,600 residents is generally considered ideal for families, an understanding borne out of the presence of high performing schools in the area, admirable healthcare, and a growing number of Fortune 1000 companies that are pitching up tent here. Indeed, Tampa led the state of Florida in terms of job growth, adding a staggering 41,000 jobs in 2016 alone. Houses remain at an enticing $160,300, with rentals going for $960. We could really end it here, but let’s throw in another one for good measure. As far as recreation for the family goes, Tampa has 185 parks waiting to be explored, not to mention a theme park and a myriad other attractions. 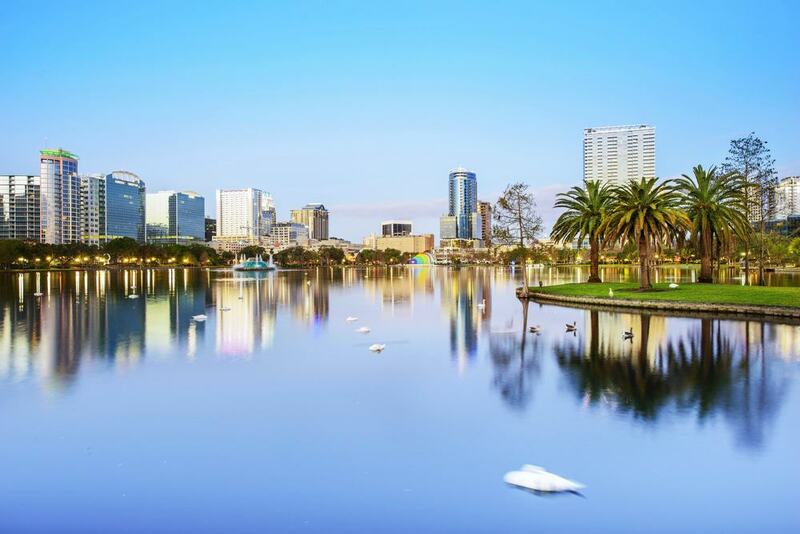 Another big city whose population stands at 257,000, the cost of living in Orlando remains surprisingly affordable despite the city emerging as one of the biggest tourist attractions in the state. Houses average $160,500 with median rent hovering at the $1,000 mark. And here is why we think this is the best deals you can get in Florida. The Greater Orlando area has so many amusement parks that it has been christened The Theme Park Capital of the World, and we really can’t take anything away from a city that draws as many as 55 million visitors annually. But tourism is beside the point if you’re looking to be a local. Orlando has 115 neighbourhoods, and more reasons why it warrants a mention on our list are 1. Unemployment rates are lower compared to the rest of the country (this is a biggie in a state with a high unemployment rate); 2. The public education system can hold its own; 3. The city offers good public transportation. As well, sports lovers might have to contend with coin-toss decisions every other weekend because there are all manner of great sports teams here. Basketball. Ice hockey. Soccer. Baseball. Women’s football. The big city may be the most famous place in Florida, but the plaudits for state capital go to [drumrolls] – Tallahassee! 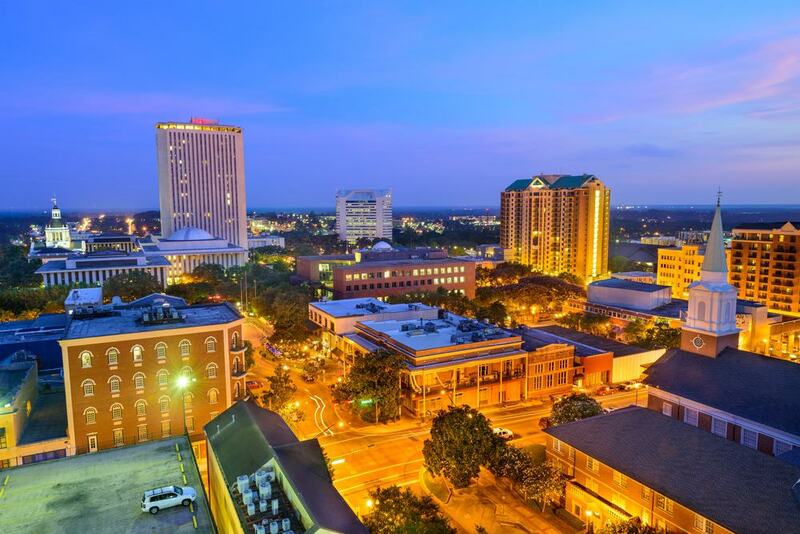 Tallahassee often escapes attention partly because it is more of a big college town, with the likes of Florida A&M University, Florida State University and Tallahassee Community College all based here. The capital’s 187,000 residents enjoy more than a low cost of living in a city where decent houses go for $177,900 on average. There is quality transportation system, the colleges have spiced up the nightlife and shopping, and there are many wonderful activities for families – museums, local parks, festivals, sports events etcetera. Davie is a suburb that lies 30 minutes outside of Miami. More than 97,000 people call it home, a population that perfectly reflects the great diversity of Miami, and the state in general. This is a popular shopping town where you will find everything you need without having to venture far out, although there can be a snarl-up when everyone is out. By and large, though, this friendliest of towns is known for its high quality of life. Income per household averages $59,680, with residents also enjoying minimal tax rates. Homes in Davie go for $210,800, and the universities in the town also mean the right infrastructure is in place to accommodate college students. Families, too, are well catered for by the city’s numerous schooling options. The place offers the benefits of living outside of a large metro area, but still close enough to the big city. If Miami is your kind of town but you fancy taking up residence just outside of the bustle, then Davie is a great contender for the most ideal locations. 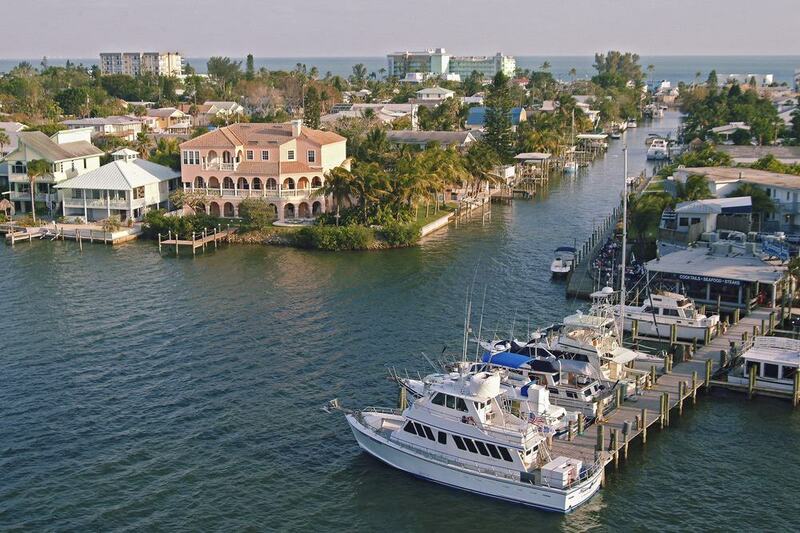 You will find Fort Myers about 80 miles south of Sarasota in Lee County. It has a population of 68,500, with retirees having a particular affinity for the area mainly due to its general livability. Great weather. Gorgeous beaches. Restaurants aplenty. Major retail and outlet shopping. And even an international airport, the RSW. As well, Fort Myers has one of the most affordable costs of living for a town of its stature, with homes averaging a low $146, 800. Add a charming downtown to that equation, a farmers market, top golf courses such as the Eastwood Golf Course, and plenty of other recreation options, and it not hard to see why Fort Myers was featured in the Best Cities to Live in America list, landing at position 38. 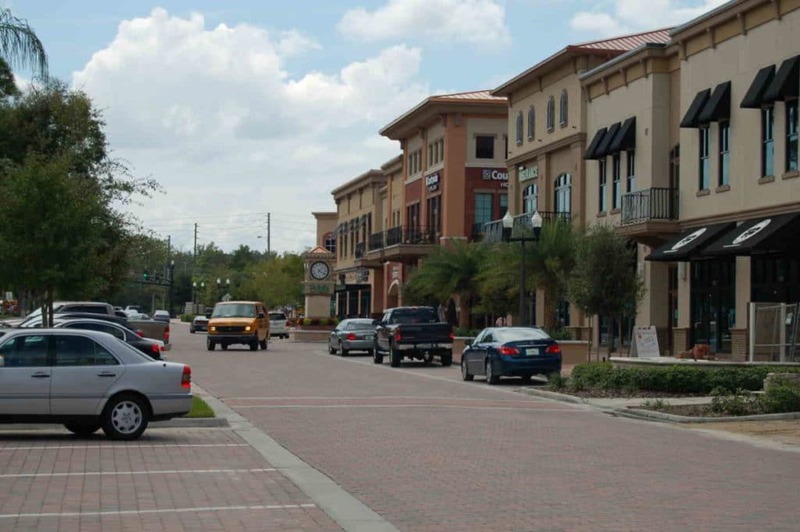 Lake Mary is a growing town in Seminole County that currently has a population of just 15,000. Despite its low numbers, single-family homes in this area average $254,500. This is a little on the higher side and probably the high cost of living was one of the reasons the town missed out on the best places to live list. Because few places in the entire state can guarantee a more ideal setting for families than Lake Mary. It is best suited for parents in search of jobs that are financially rewarding who also want their children to grow up in a place with a strong sense of community. Median household income stands at $85,100, and the place is adding many jobs in the tech industry, a plus for parents with children who are into math and science. The schools score favourably on GreatSchools, managing a rating of 8/10. 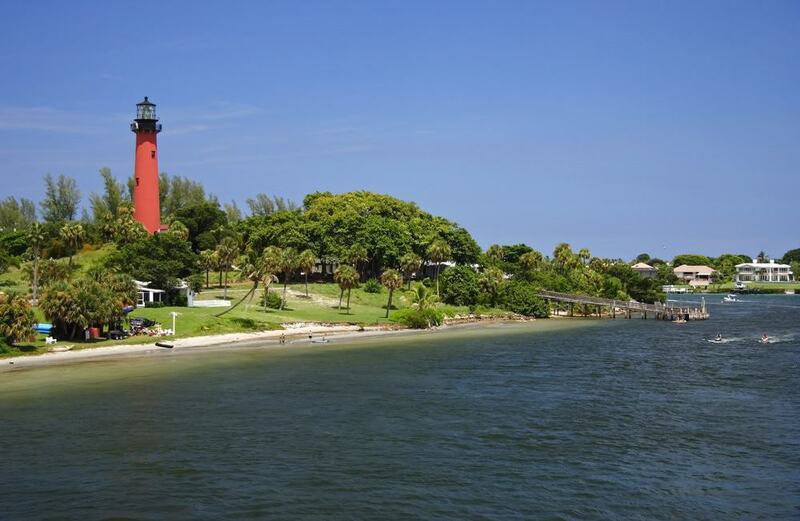 Jupiter is a small town in Palm Beach County whose 59,000 residents place particular emphasis on the environment. The air quality is super, and Jupiter has made efforts to invest in ‘living green’. This is also the birthplace of the Jupiter Seafood Festival. If you have never heard of it, this is a festival that comprises three days of food, music and plenty of family fun. Cost of living is a tad high, with rent prices averaging $1,430. While crime rate is still a niggling issue, as in most of Florida, the desirability of this area has never been in question, and the high cost of homes ($283,700) just serves to reinforce this. Community events and parties are often hosted at the 65,000-square-foot community centre. Jupiter also boasts a great public school system that ranks 9/10 on GreatSchools, and all these factors combine to make this town one of the best places to live in Florida. Winter Springs perfectly marries great academics, easy access to many entertainment venues, and opportunities for social interaction, the result of which is a great place to live and start a family. The city of 34,000 is just half an hour’s drive from Orlando, where families go for more fun and entertainment options if need be. Four out of five elementary schools in Winter Springs scored an ‘A’ on standardised testing, and the area also has two high-ranked colleges close by – the University of Central Florida and Seminole State College. Single-family homes in Winter Springs average $205,600. But it is possible to get a three-bedroom home going for $161,000, with a four-bedroom property even selling at $189,900! Most people work white-collar jobs, with as much a portion of the city (87%) reserved for residential living. This is one of the best options for families in Florida. Rounding off our list of best places to live in Florida is Lutz, a small suburb in Tampa with a population of slightly above 20,000 residents. We consider it one of the best areas because this is an affordable community where cost of living is affordable with rents averaging below the national average at $903. Homes are valued at $231,400, and although that’s a little high in Florida, a median annual income of $67,847 can offset that. Moreover, crime rate is one of the lowest in the state, and the area has some great schools which rate a strong 9 on GreatSchools. This is one of those nice neighbourhoods that somehow manage to provide exceptional value for families. As added perks, the community is just 15 miles away from the economic centre that is Tampa. And families having convenient access to some of the best beaches in the state, with Honeymoon Island, less than an hour away, serving as a perfect example.